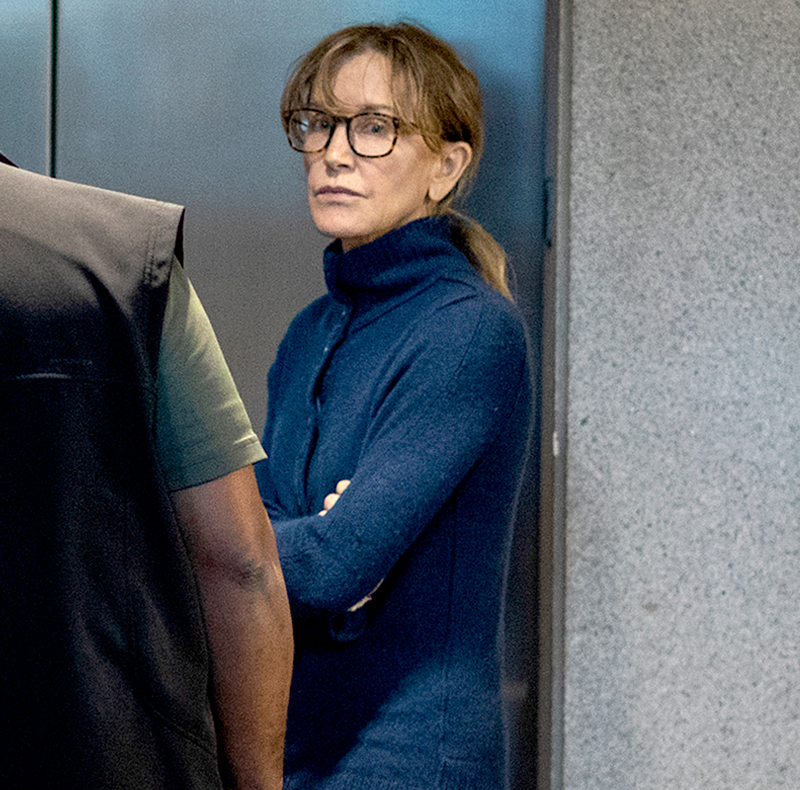 Felicity Huffman was spotted for the first time since she was arrested for her alleged involvement in a nationwide college admissions scam. 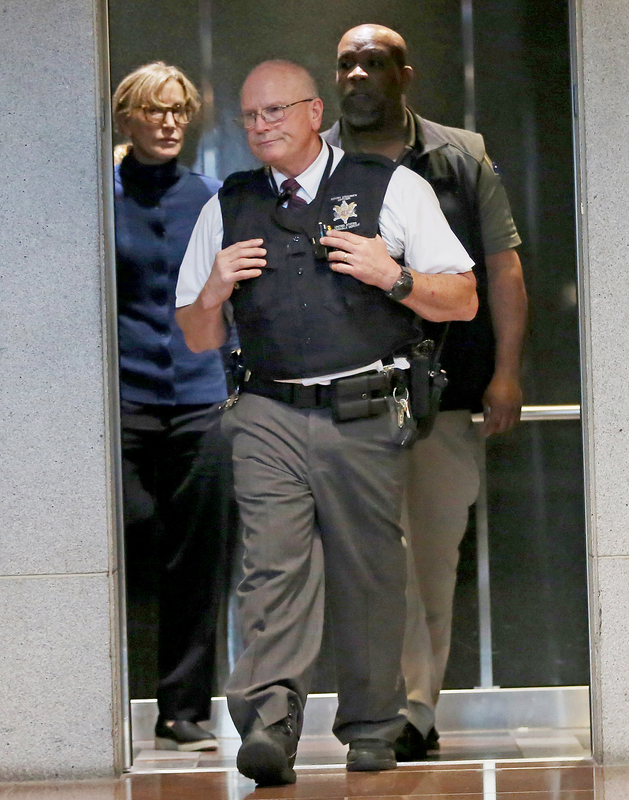 Huffman, 56, left a Los Angeles courthouse on Tuesday, March 12, shortly after she was released on $250,000 bond. She wore a navy blue sweater, loose-fitting black pants and sneakers as she exited the building after spending several hours in custody. She was ordered by a judge to not speak to anyone involved in the case and had to surrender her passport. Her husband, William H. Macy, was present for the hearing. The Desperate Housewives alum was reportedly taken into custody by seven armed FBI agents at 6 a.m. on Tuesday. Her arrest came after court documents obtained by ABC News alleged that she “made a purported charitable contribution of $15,000 … to participate in the college entrance exam cheating scandal on behalf of her eldest daughter,” Sofia, 18. Lori Loughlin and her husband, Mossimo Giannulli, were also indicted in connection with the college admissions scheme. The pair — who share daughters Bella, 20, and Olivia, 19 — allegedly “agreed to pay bribes totaling $500,000 in exchange for having their two daughters designated as recruits to the USC crew team — despite the fact that they did not participate in crew — thereby facilitating their admission to USC,” according to court documents. Both of their children currently attend the University of Southern California. Laura Eimiller, the FBI’s Los Angeles Public Affairs specialist, previously confirmed that Giannulli, 55, was also arrested on Tuesday for his alleged participation in the crime. A warrant for Loughlin’s arrest was issued that same day, but she was out of the country at the time and therefore wasn’t immediately taken into custody. She is expected to surrender on Wednesday, March 13.